Waris Dirie was born in 1965 in a nomadic tribe of Somalia in the region of Gaal Kacyo. Excised at the age of three, as tradition requires, she is only nine years old when she escapes from the camp where her family live, to escape an arranged marriage. After several days of wandering in the desert, she joined Mogadishu (capital of Somalia) where the ambassador of Somalia in London, hired as a handyman. She will work there for six years as a slave, totally cut off from the outside world. The overthrow of the Somali government forces the ambassador and his family to return to Somalia. Waris finds himself alone in London, not speaking English. Marilyn, a sassy and generous young woman will come to her aid. After a few months working in a fast-paced restaurant in a YMCA, she was spotted by photographer Terence Donovan who asked her to cover the “Pirelli” calendar in 1987. From then on, an international career of top model began. 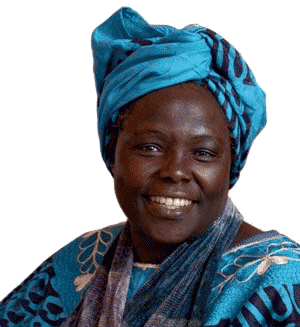 In the mid-1990s, in an interview for Marie Claire magazine, she testified to her excision and the sexual mutilation still suffered by millions of girls in Africa. She is then contacted by the United Nations Population Fund and becomes a UN goodwill ambassador against female genital mutilation. However, it has abandoned these functions since 2003, preferring to continue its work through its foundation. The film Desert Flower by Sherry Hormann was filmed based on his biography. In 2005, she was naturalized Austrian and on July 12, 2007, she was elevated to the title of Knight of the Legion of Honor for her humanitarian work by Nicolas Sarkozy. She lives in Gdansk, Poland. She is also an honorary member of the Budapest Club.